As far as the weather, we’ve been pretty fortunate for the past 15 years holding my annual Gallery Talk at the Principle Gallery in conjunction with the King Street Arts Festival in Alexandria. There has been a light shower once or twice and one year there was one large storm with a tornado touching down several miles away that hit late Saturday afternoon of the weekend festival. But overall it has normally been excellent weather. Well, this year is bucking the trend. Hurricane Florence seems to be setting a direct course for the east coast of the US and when a hurricane of the size they are talking about is coming your way, it’s best to pay attention. They were already sandbagging the blocks below the gallery along the Potomac River this afternoon in preparation for the storm and the possible surge on the river. As a result, the King Street Arts Festival has postponed this year’s event, rescheduling it until the following weekend, September 22 and 23. The Gallery and I agreed that it wouldn’t make sense to try to give the talk in a possibly raging storm. The storm scene in the movie Key Largo comes to mind. Not a good time. 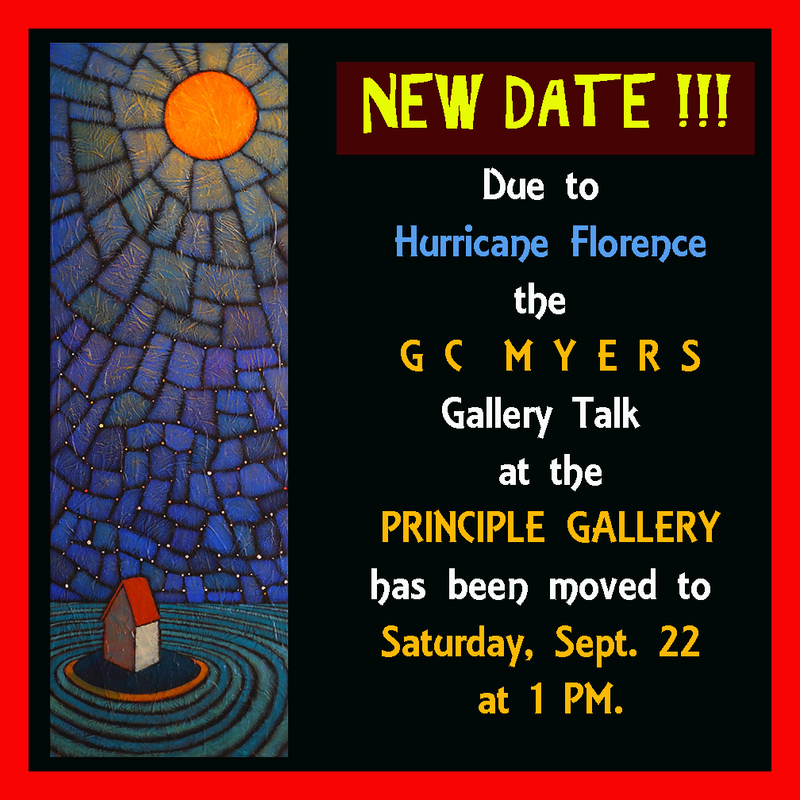 So we have moved this year’s Gallery Talk to the following Saturday, September 22,at the same 1 PM time. Sorry for any inconvenience and I hope you’ll still be able to make it to the gallery on the 22nd. I promise it will be one week better! I’d wondered about that. It’s a wise move.